Misses' One-Piece Dress. The skirt is gathered each side of center-front and joins the shaped lower edge of bodice. 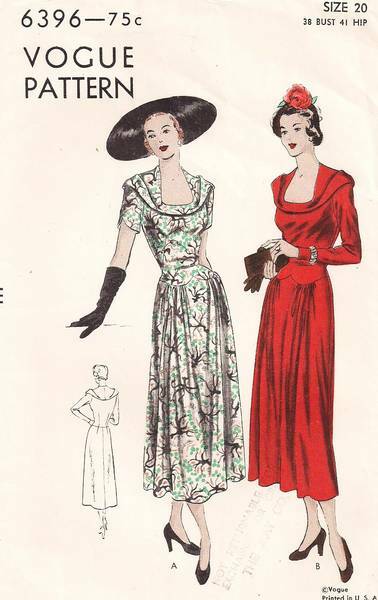 Wide bias collar rolled back over the shoulders finishes the deep shaped neckline. Long fitted sleeves and short sleeves. Pattern is unused, complete and still in original factory folds.